Who lives at the end of the state. It's her birthday, and he want to give her the cakes that he has made. he need to cross 7 toll bridges. they each give you back a single cake. 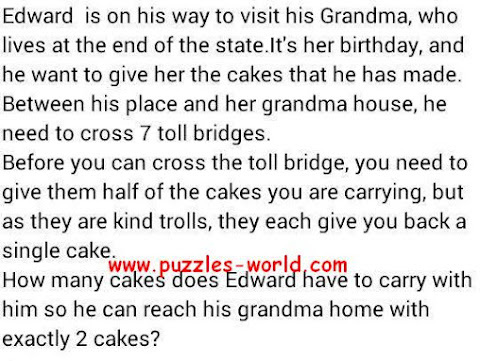 so he can reach his grandma home with exactly 2 cakes? 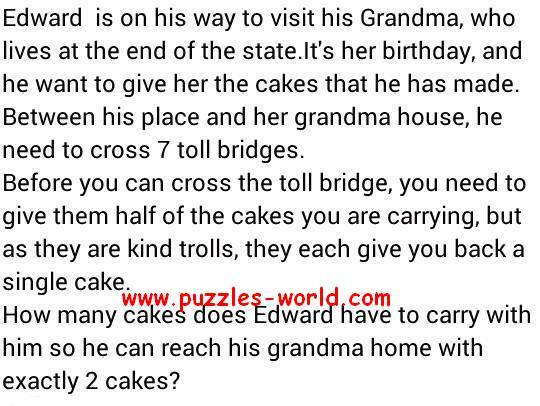 The Answer is 2 Cakes.